Today I am going to let you in on a little secret that could save you a lot of money! Recently I was watching one of 'Make-up by Tiffany D's videos on youtube and she mentioned she'd started using Dove's beauty cream bar. Now I'm sure you have one of these bars of soap somewhere in the house, I certainly did. I'd never considered using this on my face to cleanse off my makeup and keep my skin clean but I've been using it for just over a week and I love it! Sometimes we can get sucked into buying ridiculously overpriced skin care items just because a certain celebrity "swears" by it but why not just keep it simple, especially if you're saving money? I have combination skin, which gets quite dry in winter and the Dove beauty cream bar has kept my skin soft, spot free and hydrated. What more could you ask for? I'm still using my trusting facial exfoliating brush that I picked up in Penneys for €1.50 and this paired with the beauty bar works amazingly at getting rid of dry skin and keeping everything in check. I've also noticed that in the past week my skin looks a lot brighter and not as dull, which again is fantastic. 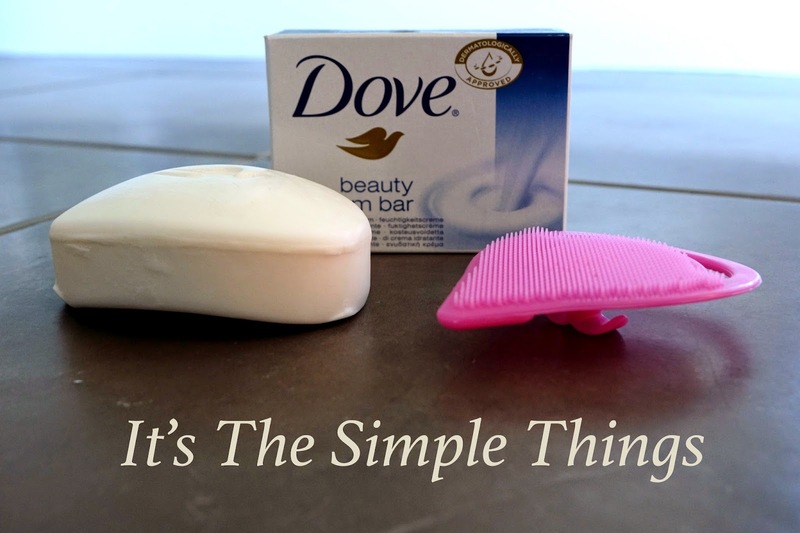 Have you ever tried the Dove Beauty Cream Bar? If you have what do you think of it? Let me know below! Thanks for reading!